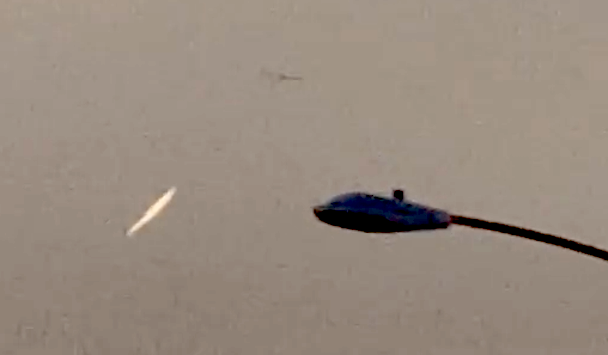 UFO SIGHTINGS DAILY: Updated: UFO Over Down Town Los Angeles Near Jet On Aug 8, 2016, Video, UFO Sighting News. Updated: UFO Over Down Town Los Angeles Near Jet On Aug 8, 2016, Video, UFO Sighting News. Updated Aug 9, 2016: The person stated it was in Down town Los Angeles. Also added eyewitness statement below. (He just added). This UFO was recorded recently and it was near a plane in the sky keeping the same distance away from the plane. The UFO is a glowing white, cloaked as a long cloud, but no cloud could move that fast. Its keeping up with the plane! Amazing video, and I asked for the location so I will update this soon. 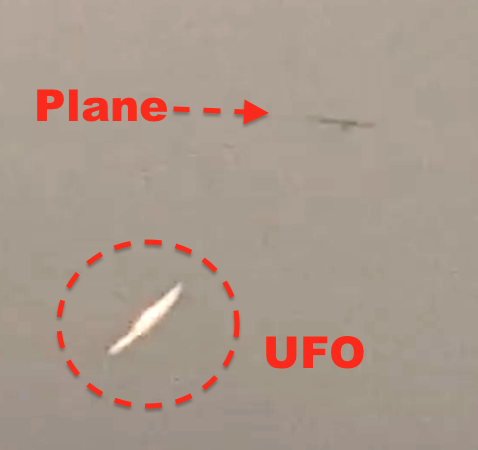 The UFO changed direction after a jet met it. no chemtrail jet can do that. wake up!. It was moving from left to right. I was driving about 55mph it looked like it was shinny and spinning with the naked eye.﻿ First glance it was alone, moving fast in a weird direction. Then when I saw a Airforce jet like plan appeare and follow as it switched in mid air from moving left to moving right!﻿ Downtown Los Angeles﻿.